Let me first appreciate you for running a blog. It is not an easy task nowadays. The web is getting noisier by the minute and you have so much information put out there. People in fact have overwhelming amounts of information on any topic under the sun. So even if you are running the best blog out there, the chances are you will go unnoticed by anyone. But there’s good news. When you see a plateau in your earnings, or traffic, or your progress in general, there are certain things you can do to transform your blog. The transformation is not only a nice thing to your blog and to your readers, but it is an uplifting thing for your business too. And it is a mandatory thing to do. Here are 7 blogging exercises that will help transform your blog to the next level. By next level, I mean from sloppy to savvy – resulting in guaranteed success! I’ve already harped about this enough. If there’s one thing that you’ll do to improve your blogging skill and writing skill, it is to write everyday. Writing everyday is just like working out everyday where you tone those muscles and you burn the excess fat. The region of the brain that is responsible for your writing (let’s call it the writing muscle) is just like any other muscle in your body. The more you train it, the stronger it becomes and its performance increases. You also become (and feel) fit if your workout everyday. Similarly if you write everyday you get good at it, and you become more confident (just as you become fit when you exercise). As a blogger I am sure you already know the importance of creating content. Not just for written content like blog posts, newsletters but also for video based content you need to do a lot of writing. First, your daily writing practice is going to help you create the amount of content you ought to create as a blogger. That helps to take the stress out of the equation – you will be having the blog posts, the newsletters or the scripts ready on time and don’t have to sweat it out. Second, you become good at writing over the time. Eventually it gets a lot easier for you to crank out content in a super fast pace. Your typing pace increases. As does your speed to put out your thoughts in the form of words. That is the most important bit that makes writers slow – translating those ideas to words! By words, I don’t mean pixels on the screen, but words that carry life, emotions and words that actually connect with people and create an impact. And with regular writing, fast writing becomes a skill which is much needed for a blogger. Third, the quality of your writing improves dramatically. When you write everyday, you do a lot of writing. And just like anything, even with writing, practice makes it perfect. To start with you can go ahead and register at http://750words.com/ and start writing. Or use Scrivener, set yourself daily word limits and start doing it. The second most important thing to transform your blog is to become disciplined. This has a LOT to do with your blog. As a blogger your blog needs you. Your audience need you. And if you aren’t disciplined you won’t be able to give your best to your blog and its audience. For one, not being disciplined kills a lot of time. And time is a highly crucial asset that you don’t want to waste. It takes discipline to close Facebook and get back to work. It takes discipline to sit down and write everyday. It takes discipline to ignore the ringing phone while you are working on your client site; or to abandon WhatsApp for a few hours. You know, all these contribute the transformation of your blog wherein, you can use the time saved and time gained via these disciplined efforts to improve your blog dramatically. You can also give your blog that undivided attention it needs. Blogging is not as easy as writing a blog post and publishing it. There are lots of stuff that are associated with blogging beyond writing and hitting publish. You probably know that by now, right? You should be using a CMS like WordPress. And if you don’t know the basics of using and maintaining it, you will be in trouble. 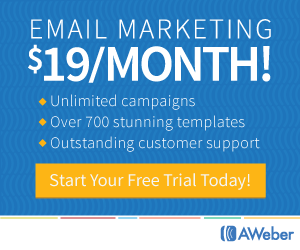 You could be using an email autoresponder service like Aweber or GetResponse. If you don’t know how to use it to send emails, or how to put up optin forms, you will be in trouble. You could be scared to hear the word “SEO”. But if you don’t know anything about it, you will be seriously in trouble. I am sure you can outsource a lot of these tasks. But my personal opinion is that (and I take this very seriously myself) – you have to have good knowledge about something you outsource, otherwise you can’t review the outcome! As you go, make sure you learn something new everyday. Very close to what I discussed just above. But slightly different in the sense that you improve, develop and expand what you already know. And with practice you become good at it! There is a lot of difference between knowing something and being good (or great) at it. Knowing to write copy won’t probably help you (though it is certainly a starting point), but being good at it will help transform your blog. Knowing how to type is fine. But being able to type faster (so you can process those blog posts faster) is certainly a plus. Knowing some php and html is fine. But being a good (preferably, great) designer will get you clients, sales and real money. Knowing to talk to people (via email, blog comments, over the phone etc.) is fine. But if you are really good at it, you can build some genuine, long term relationships that will help skyrocket your blog’s success. I can go on. But you get the idea. What? Exercise? As in “workout”? I am not sure how much you realise that your health is the most important asset to your business. I too didn’t realise until I once fell sick and was bed-ridden for 10 full days. And then I realised that me and my health are valuable to my business. Just like the expensive, super computer I buy and treat like one. And just like the premium tools I purchase for my business and treat them like treasure. The most important treasure of all is me. It is you, in your case. So don’t compromise on your healthy habits for anything. Don’t reduce your sleeping hours just to finish your blogging tasks. It doesn’t matter if you are a morning person or a nightly owl. Make sure you get enough amount of sleep everyday. Don’t sacrifice a meal to get things done. It is the worst thing that you could do to yourself. Don’t sit all day in front of your computer. Live your life. Get social. Exercise. Move around. This not only improves your physical fitness, but also makes you creative. These are just a few things I remember now. I suppose you know better than these. Do you think you can do it all by yourself? I don’t think so. Of course you could be a solopreneur who runs the business all by yourself. But your business won’t thrive without other people in the equation. Who will buy your stuff? Who will do business with you? Who will talk about you? Who will be your fan? Who will give you positive feedback? Who will spread the word for you. Who will support you through hard times? You need extra hands for all the above. Do you agree? Having a powerful, vibrant and loyal community for yourself will guarantee the success of your blog. And for sure, this can transform your blog to a greater level. You never know what those connections bring you. You could end up a big client from just a tweet from one of your peers (assuming he/she is an influencer). Don’t delay. Start building those relationships both with your peers and with your readers so you have a powerful army beside you! I used to ignore this until recently. But recently I realised that unless I paused and analysed I never know what works and what doesn’t. If I keep on doing something, and if I don’t review the results, I might be doing the same thing over and over even if it doesn’t work – because I don’t know if it worked or not unless I look back. You can practice this both on a small scale as well as on a large scale. For instance, I review what I’ve done in a week and what progress I’ve made so far. I then plan my next week based on the progress (or lack of it) made during the current week. If I adopt a new strategy to do something, I pause at a reasonable interval to see if it worked or not. This gives me an idea to decide whether I should continue doing more of it or just drop it and change my approach. When you write a blogging goal somewhere and start working on it, you get too busy working and you end up forgetting your blogging goal. It happens to all of us and it is totally normal. When something is out of site, it is out of mind. So make sure you revisit your blogging goals. This helps you to correct course if your activities are drifting away from the original goal. What are you going to do today to transform your blog? I am sure, this list is not all. I’ve listed 7 key blogging exercises that I found very crucial to my own blogging success. But I am certain that some or all of these points will help you since you are also following the same journey as mine. Now, let me know which of these exercises are you going to do today to transform your blog? Or do you have a different blogging exercise that is not listed here? Let me hear that too! You have listed some best and helpful exercises for the bloggers. Blogging isn’t easy! It needs dedication and focus. So, it would be better to learn something new ever yday and networking with the co-bloggers. I do Yoga for 1 hour daily to improve myself and fit. It helps me to work without distraction. Thanks for your useful post, it is inspiring! Sure blogging does need a lot of dedication! Learning something new and upping the knowledge surely does help. It is nice reading your articles again after a long break. “Write Everyday” ? Seriously?? I end up with a blank post everytime I sit down to write a post, and maybe I can get one written in a fortnight…I am not sure how you do it. All the tips are great for us bloggers. Keep writing. I totally understand! I was once like you, totally clueless about this “create content everyday” thing. But now I should say I have identified what works for me in this context. Another fantastic post. It has helped me to learn some of the new things which I didn’t know. You are welcome Robin. Thanks for stopping by!